Zenith presented the new Heritage Star 33 mm, a ladies' watch with a cushion-shaped rose gold or steel case in a smaller 33 x 33 mm size. 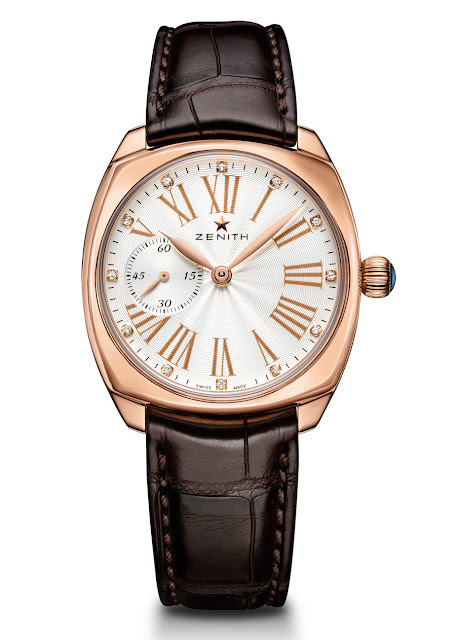 Just 9.45 mm thick, the heritage Star is powered by the Elite Calibre 681, a reliable automatic movement beating at a frequency of 4 Hz with over 50-hour power reserve. The movement is visible through the sapphire case-back. 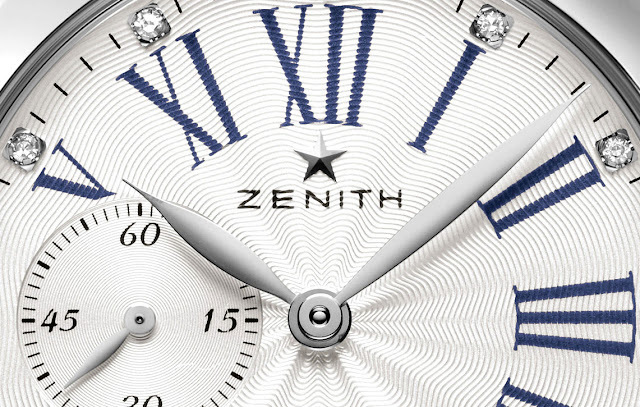 The silver-toned guilloché “flinqué-froissé” dial base is graced with classic blue or gold-toned Roman numerals punctuated by 12 brilliant-cut diamonds (approx. 0.1 cts). The faceted hour and minute hands are rhodium-plated or gold-plated, depending on the case metal, while the small seconds hand spins around its own subdial at 9 o’clock. 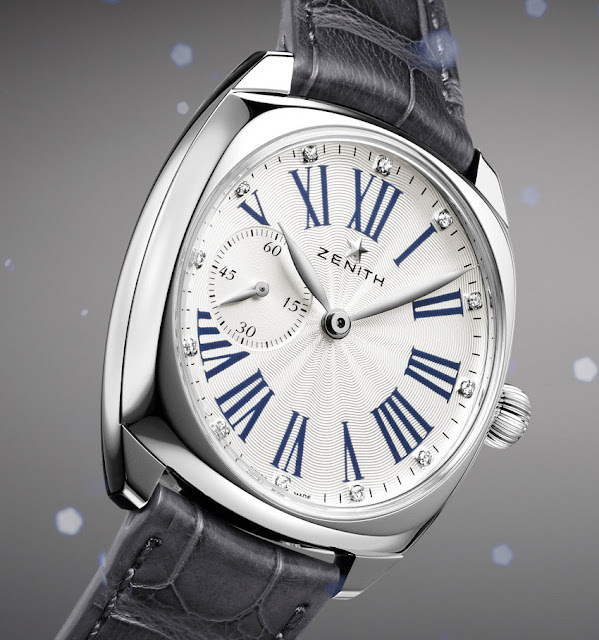 Water-resistant to 30 metres, the Heritage Star 33 mm features a crown set with a cabochon-cut sapphire. 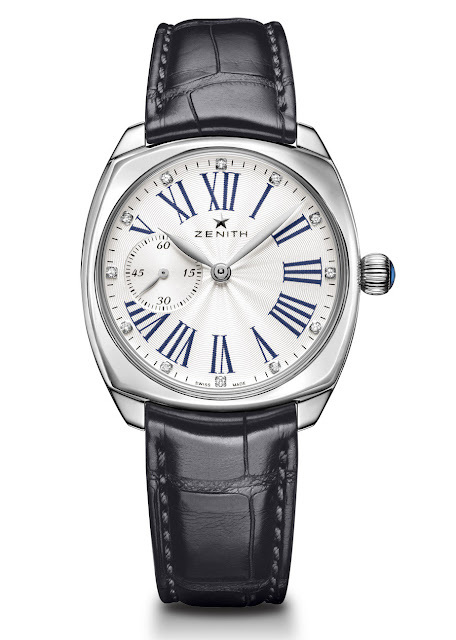 The watch is completed by a brown or grey alligator leather strap with a pin buckle.